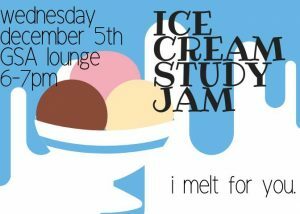 A.S. Pardall Center Fall Quarter Study Jam! Need a place to study for finals in IV? Join us at the A.S. Pardall Center for our Fall Quarter Study Jam! Not only do we have delicious and healthy FREE SNACKS AND COFFEE to keep you going, we also have chill vibes, plenty of outlets, great lighting, FREE WIFI and PRINTING, comfy seating, and helpful staff. 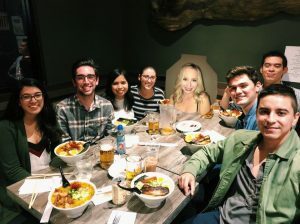 We’re also conveniently located in the heart of Isla Vista, surrounded by yummy food and beautiful parks when you need to take a break from all that studying! 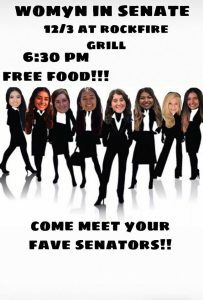 WHAT: Enjoy some free food and ask us any questions you have about Senate, Associated Students, our current projects, or anything else. Oh yeah, did we mention FREE FOOD? Happy dead week & good luck on studying for finals Gauchos! Join the IVCSD, UCPD, and UCSB in welcoming Isla Vista’s new Interpersonal Violence Coordinator, Kovena Avila! The IVI is a resource for Isla Vista residents, and a liaison between law enforcement and other groups in cases of interpersonal violence. The IVI will also provide educational services to the community on interpersonal violence prevention. Come ask questions and learn about this helpful new resource! stop the stress and have a scoop of vanilla! stop the world and melt with CAB! before you head on to finals, come get brainfreezes with your favorite student org. it’s BYOB, bring your own blanket, because after our chocolate-y brainfreezes, it’s about to get real warm, cozy, and sentimental in that room! 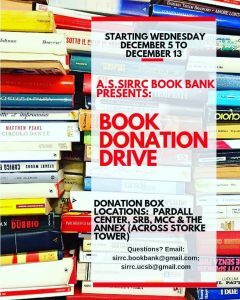 Help build a resource for other students who cannot afford to buy/rent their text books for the course ! If you cannot drop them off at any of these locations please DM me & I’ll happily come by to pick them up ! thank you & good luck with finals ! JUST ANNOUNCED: @JIDsv “Catch Me If You Can Tour” in the Hub! Tickets are $20 for students and $22 for general, they can be purchased at: https://www.facebook.com/events/1470389846427534/permalink/1471982382934947/ … Get your tickets now! 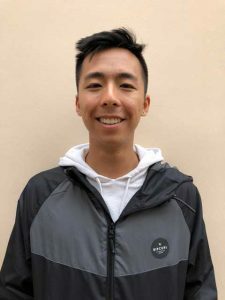 Wesley Lu is the new AS IT Student Assistant. He is a Computer Science student and will be collaborating with the AS tech team in the Desktop Support area. If you wish to send him a welcome hello he is available via the AS Slack and you can also reach him at wlu@as.ucsb.edu. 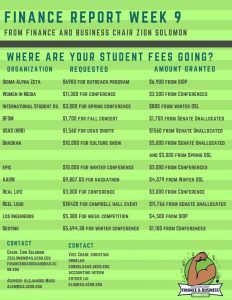 However, for any technical assistance please submit your requests as usual via the help ticketing system: help.as.ucsb.edu. Join IVSCD for free food and information! There will be info on the new Rental Housing Mediation Program, housing orgs and resources available to you, and a Q&A! TOMORROW in the Community Room behind Naan Stop from 6-7.